Several paintings by Van Gogh are for sale.Please contact me if you wish to buy or sell a Van Gogh. Im in contact with owners of Vincent van Gogh paintings direct , i am also in contact with Lawyers and legal mandates of Vincent van Gogh paintings. The Works of Vincent van Gogh by Jacob-Baart de la Faille (first published in 1928, revised edition published in 1970). The catalogue numbers are preceded by an F.
The Complete van Gogh by Jan Hulsker, published in 1980. The catalogue numbers are preceded by JH. 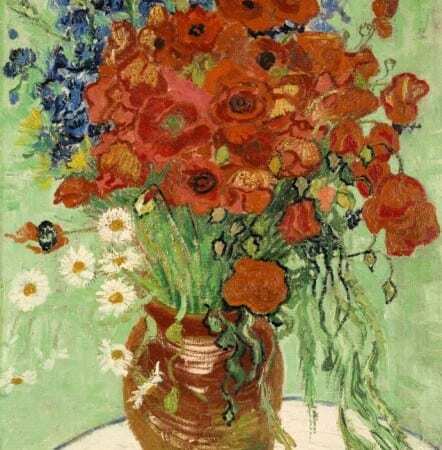 Vincent van Gogh painted this piece of his work during the last weeks of his life before his suicide. There are two versions of the portrait. Both painted in the same year. One of the version was sold in May 1990, through an auction at Christie’s, New York, put up by the Siegfried Kramarsky family. The buyer was a Japanese businessman Ryoei Saito. Since Ryoei Saito’s death in 1996 Reports in 2007 have claimed the painting was sold a decade earlier to the Austrian-born investment fund manager, in turn, had reportedly been forced by financial reversals to sell the painting to parties as yet unknown. The second version of the portrait is currently in the possession of the Musée d’Orsay, Paris, France. Van Gogh’s passion of painting flowers, has made this highly priced irises paintings sold at US$101.2 million. This brilliant artwork was painted while Vincent van Gogh was living at the asylum at Saint Paul-de-Mausole in Saint-Rémy-de-Provence, France in the last year before his death in 1890. In 1987, put up in an auction (Sotheby’s, New York ). Sold by the son of Joan Whitney Payson to an Australian businessman, Alan Bond. Interestingly, buyer did not have enough money to pay for the bidden price. Eventually, the pieces was re-sold to J. Paul Getty Museum in Los Angeles in 1990. It is noticeably that the painting style used wasn’t as hash as the famous Starry Night.Back then, before inflicted by mental derangement, Van Gogh felt that he could keep himself from going insane by continuing to paint. Sold by in a private sales via a Swiss art dealer and collector, Thomas Ammann, to the Museum of Modern Art new York. Joseph Roulin was described as the typical bread-winner in the household, during the period of working class in 19th century France. Working as a postman toiling for money to make ends meet. A father of three children, and a husband of a housewife, who care for home and children. 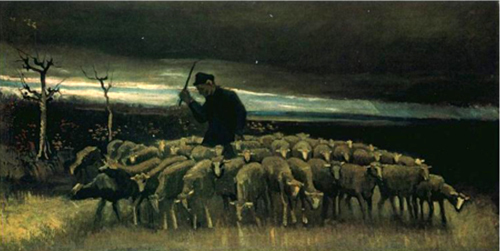 Sold by the family of Jacques Koerfer, in late 1998, at an auction held in Christie’s, New York. Buyer remain anonymous till these days. A self-portrait of artist without a beard. Leading fourth in the list of most expensive paintings. Among many with bearded portrait, this work is exceptionally unique and rare; clean-shaven, crispy-looking, hair gel and back-combing, self-portrait of Vincent van Gogh. Again, another unique piece of Van Gogh’s paintings, with bandaged ear. Do you know that he actually presented his lower chopped-off part of his ear to a prostitute at his favorite brothel? Sold by son of Emil Georg Bührle in a private sale via Steven Mazoh. Buyer was Walter Annenberg, a Jewish-born American publisher, diplomat, and a philanthropist. 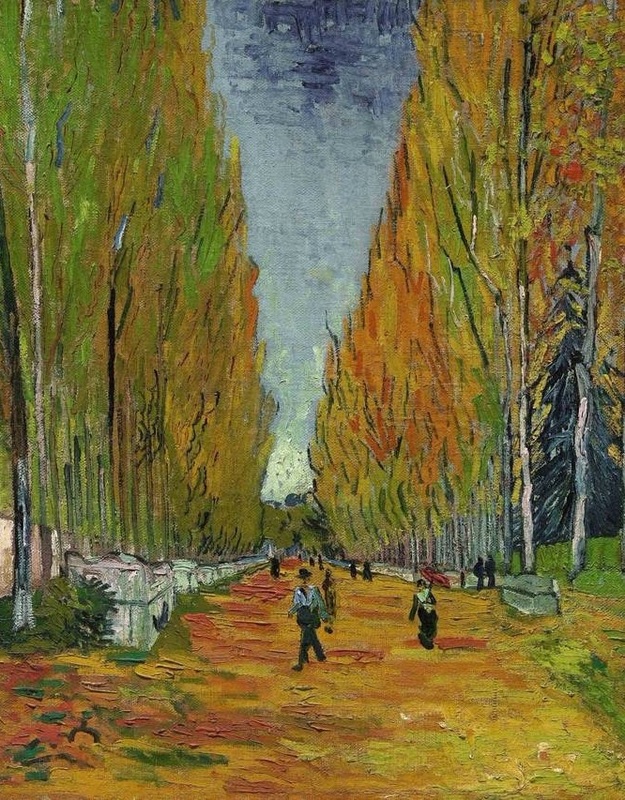 Van Gogh painted this while he spend his life in a mental asylum at St. Remy in May 1889. In his written letter to Theo, “...the wheat field in the sun, which represents the extreme heat... “, describing one of his best sun-drenched landscape in summer canvases. There are 2 variants of this paintings, the other owned by National Gallery, London. Yet another related paintings on flowers. Van Gogh’s sunflower paintings was auctioned in 1987, an event held at Christie’s London organized by the daughter in law of Chester Beatty. Buyer was described as a Japanese insurance magnate, by the name of Yasuo Goto. Little was known about the intention of this purchased. Neither was a self-interest in a private sales, nor buying it on the behalf of the company. The painting currently resides at Seiji Togo Yasuda Memorial Museum of Modern Art in Tokyo. After the purchase a controversy arose whether this is a genuine van Gogh or an Emile Schuffenecker forgery. Sold to Stephen Wynn, an American casino resort/real-estate developer. 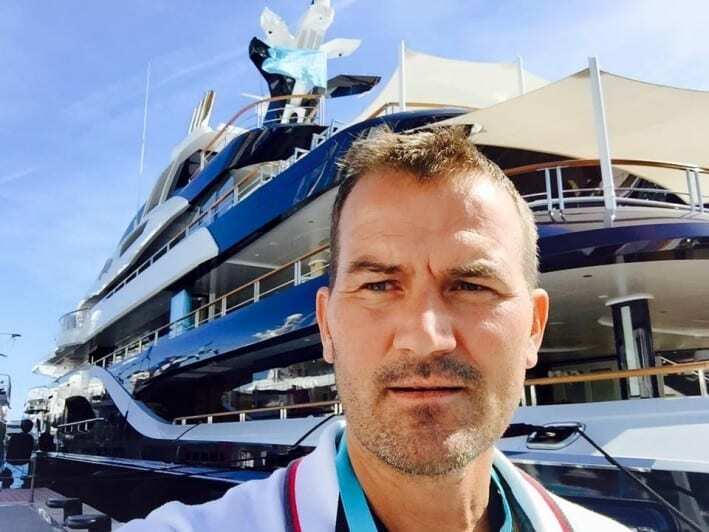 An unknown seller held a private sale via Acquavella Galleries Inc., New York. Stephen Wynn has owned an extensive art collection, including Paul Gauguin and Pablo Picasso. The North Brabant Museum (Het Noordbrabants Museum) will open its final and largest gallery 850 square metres in size to visitors on 18 January 2014 after major refurbishment. This will complete the renovation of the Noordbrabants Museum. To mark the event, 11 paintings by Vincent van Vogh (1853 – 1890), the greatest artist to have come from Brabant have been brought together, including an early Paris self-portrait from the Van Gogh Museum’s collection. 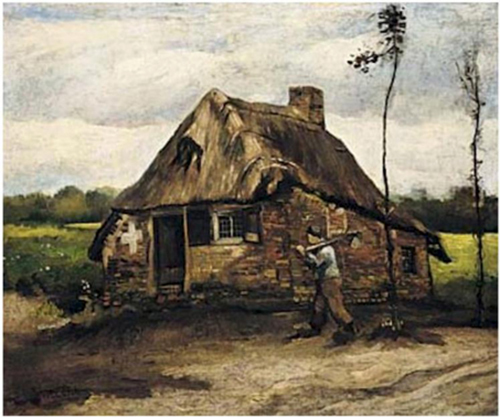 This is the most comprehensive presentation of original works that has been dedicated to Van Gogh in Brabant up to now. Carlos Slim´s Museo Soumaya borrows The North Brabant Museum the 2 following art works for 6 months. Ask me about the Van Gogh Paintings / Art works for sale right now.Also should you wish to sell a Van Gogh, i would be happy to help. Self-portrait dedicated to Paul Gauguin, September 1888, (F476), Oil on canvas, 62 cm × 52 cm. Fogg Art Museum, Cambridge, MA. List of works by Vincent van Gogh is an incomplete list of paintings and other works by the Dutch artist Vincent van Gogh (1853–1890). Little appreciated during his lifetime, his fame grew in the years after his death. According to the legend van Gogh sold only one painting, The Red Vineyard, bought for 400 Francs by the painter and art collector Anna Boch. Today, he is widely regarded as one of history’s greatest painters and an important contributor to the foundations of modern art. Van Gogh did not begin painting until his late twenties, and most of his best-known works were produced during his final two years. He produced more than 2,000 artworks, consisting of around 900 paintings and 1,100 drawings and sketches. In 2013 Sunset at Montmajour became the first full-sized Van Gogh painting to be newly confirmed since 1928. Today, many of his pieces—including his numerous self portraits, landscapes, portraits and sunflowers—are among the world’s most recognizable and expensive works of art. On March 30, 1987, Irises was sold for a record US$53.9 million at Sotheby’s; on May 15, 1990, hisPortrait of Dr. Gachet was sold for US$82.5 million at Christie’s, establishing a new price record until exceeded in 2004 by a Picasso painting. The Van Gogh Museum in Amsterdam is dedicated to Van Gogh’s work and that of his contemporaries. The Kröller-Müller Museum in Otterlo(also in the Netherlands), has another considerable collection of his paintings.